Water coming into your home may be contaminated with impurities such as chlorine, sediment, sand, rust, lead, mercury, cysts, and other pollutants that can affect the flavor, smell, and safety of the water you drink and cook with. A good water filter, like the Whirlpool 4396508 filter, helps protect your family from these impurities to give you healthier, better tasting water and ice. The Whirlpool 4396508 water filter uses a block of activated carbon to capture impurities in the water - chemicals such as chlorine and mercury, particulates such as dirt, rust, and cysts, and other minerals such as lime or lead - and delivers clean, clear, healthy water to your refrigerator. This results in better tasting water and clear ice cubes for your enjoyment. DiscountFilters.com carries two models of filters in the 4396508 style - the Whirlpool EDR5RXD1 and the aftermarket ClearChoice CLCH100. The OEM model by Whirlpool is NSF certified for standards 42 and 53, which certify filtering against the taste and odor of chlorine, cysts, lead, rust, sand, sediment, and other particulates. 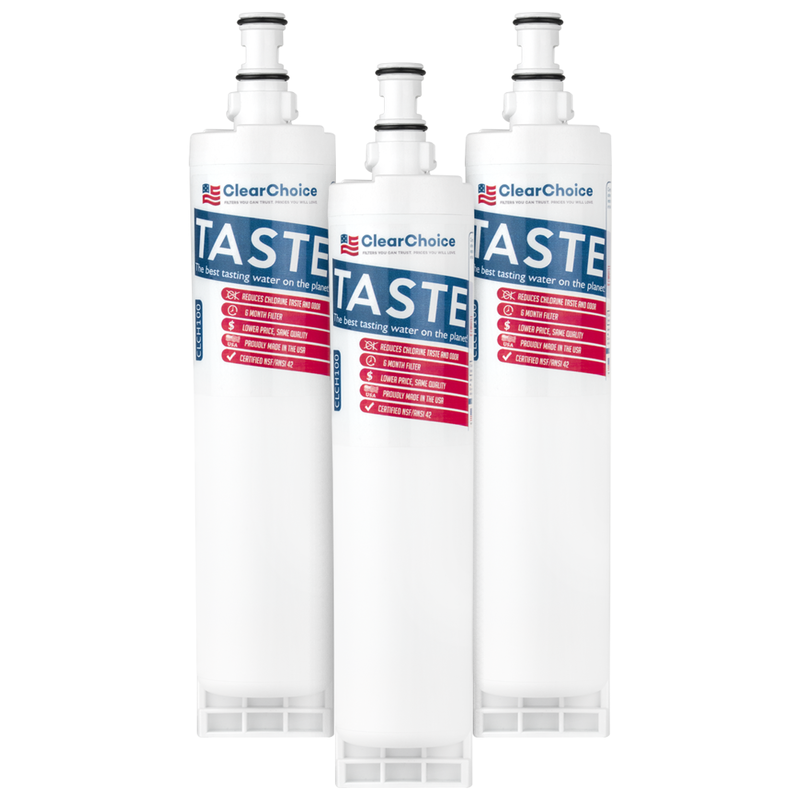 The aftermarket Clear Choice is guaranteed to be compatible to the OEM model, and provides the same high-quality filtration at a fraction of the price. As such, this is our recommended model. All of our discount filters come with free shipping and returns. Other fridge models that can replace the 4396508 filter are 9010, L400, L500, 9908, 9902, QTSS, 4396508P, 4392857, WF285, SBS002, 4396918, NL300, EW-1 and more. 98 compatible alternative filter models below. Marvel at the specifications of our 4396508 compatible filters. All of the 4396508 filters reduce contaminants like dirt, rust, and lead that are in your water supply. The Whirlpool replacement filter is the OEM product and has been certified by the NSF. The Whirlpool 4396508 and EDR5RXD1 filters meet both NSF/ANSI standard 42 and 53, which means it is certified to reduce chlorine and remove lead, mercury, and other impurities from your water. The ClearChoice replacement filter has many of the same features as the Whirlpool filter, but at a much lower price. 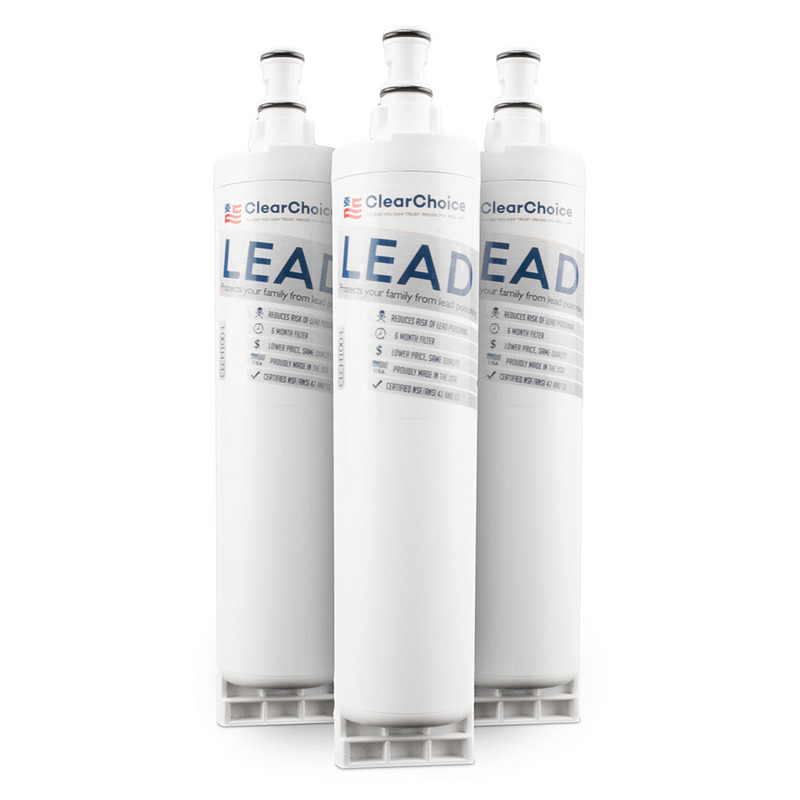 The aftermarkets ClearChoice CLCH100 replacement is the most cost-effective filters and have comparable filtration results to the Whirlpool. The primary difference between the name brand Whirlpool filters and aftermarket filters is the price and NSF/ANSI ratings, though many non-NSF/ANSI rated filters are constructed from NSF/ANSI rated parts. 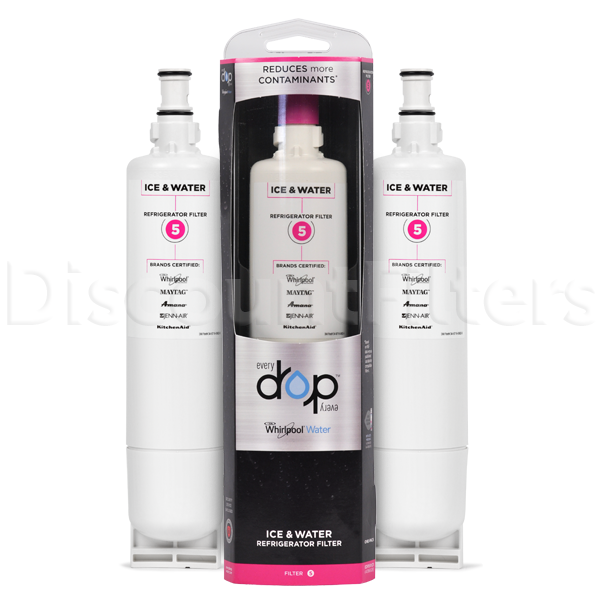 All of our discount refrigerator water filters come with free shipping and free returns. Great experience. Good product and price. Got 3 for the price of one from manufacturer. At a local store, I would pay $40+ for one filter, almost the price I paid for three on this site. This site is now in my "favorites" list.